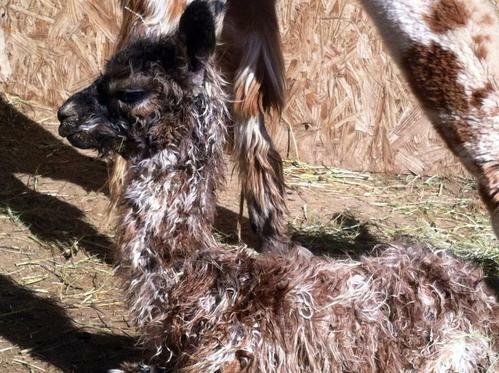 Our 2nd cria is here and she is gorgeous!! 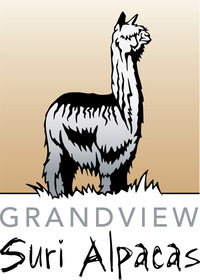 Bojack's Brandi is a beautiful dark brown female. 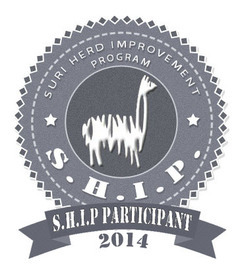 We are very pleased with her. 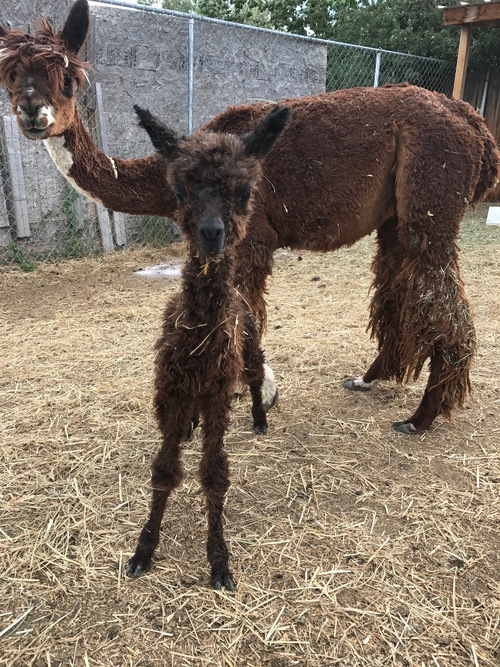 We had our first Legend baby today and boy is he a nice one! He looks just as nice as he daddy did when he was just born. 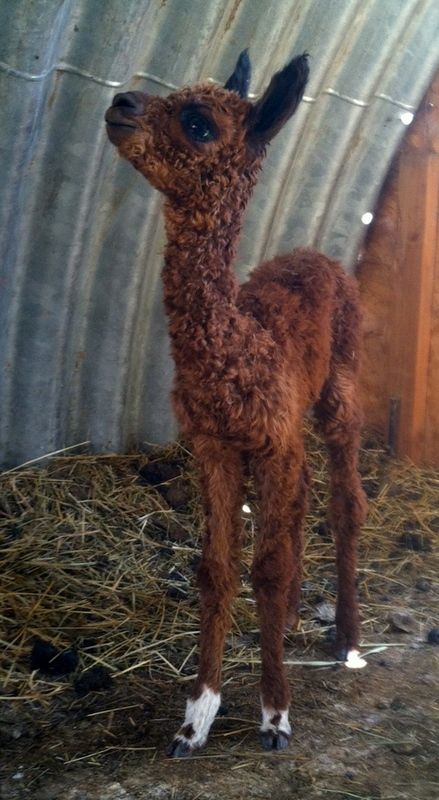 Legend's Lenny weighed in at 14.3 lbs and is doing great. So pleased with this little boy. 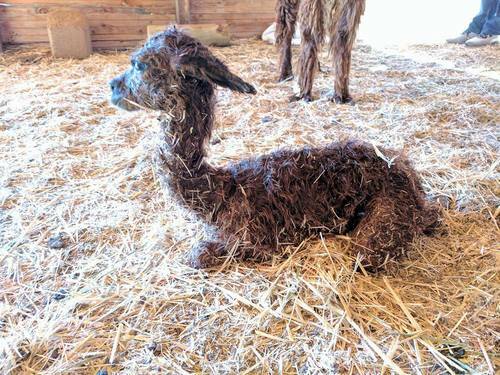 Stryker's first cria is amazing! Adalina gave birth to a stunning wrinkled skin female cria on 6/12/15. She is a beautiful beige female with lustrous, locked. fine fleece. She is a show baby for sure. 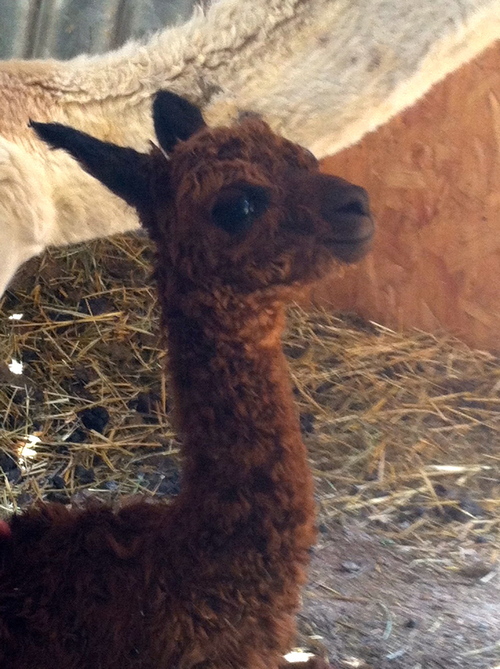 We are SO pleased with this female cria. We knew that the cross with Adalina and Stryker would be a good one! First cria of the season and he is STUNNING! 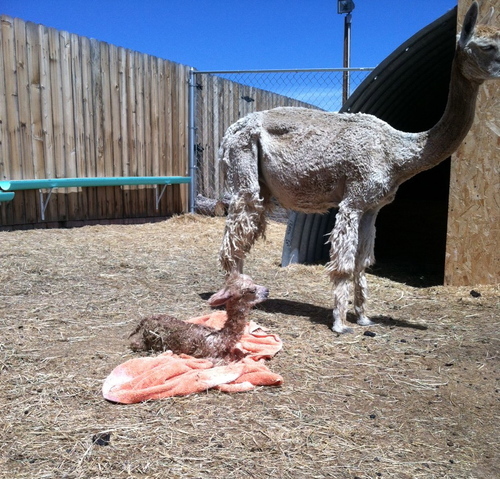 Glory gave birth this morning to a gorgeous male. 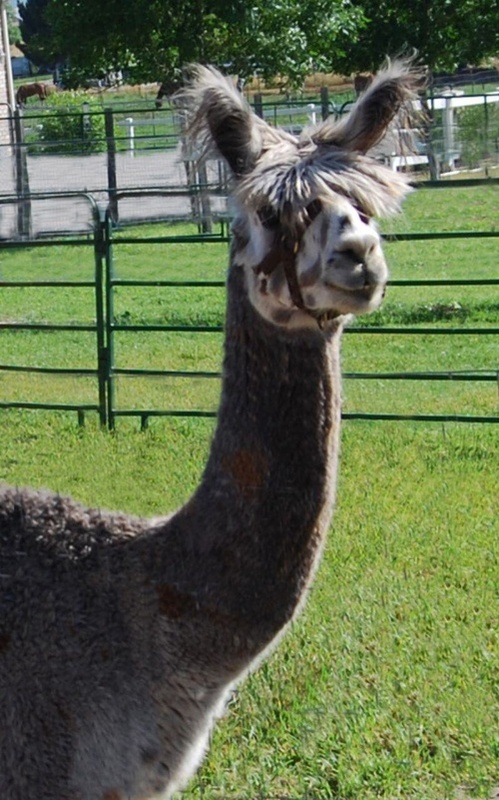 Introducing GVSA Accoyo Nugget's Legend. 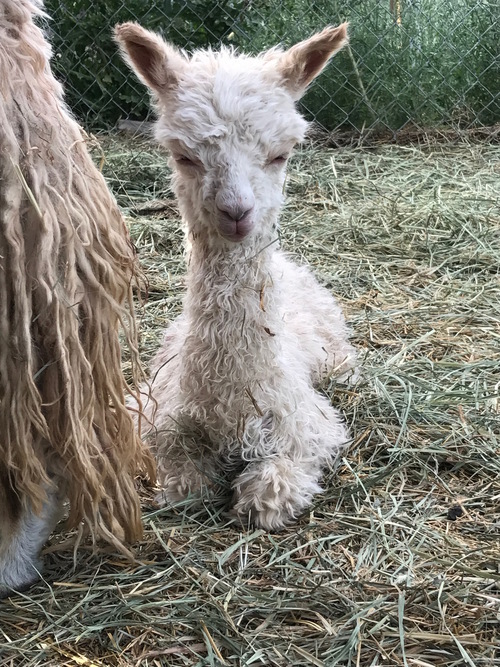 This boy has curls all over his body, down to his toes! Luster off the charts and substance of bone already!! 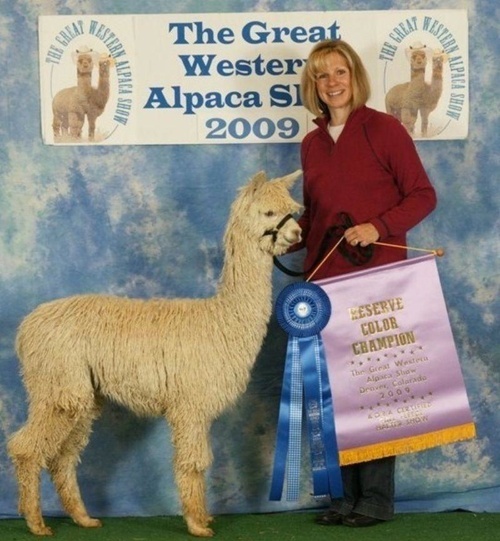 Legend is very special to us as his sire was killed in a freak accident. Legend will make his sire proud! Qualified professional evaluate each of our alpacas on 16 traits and give a score. 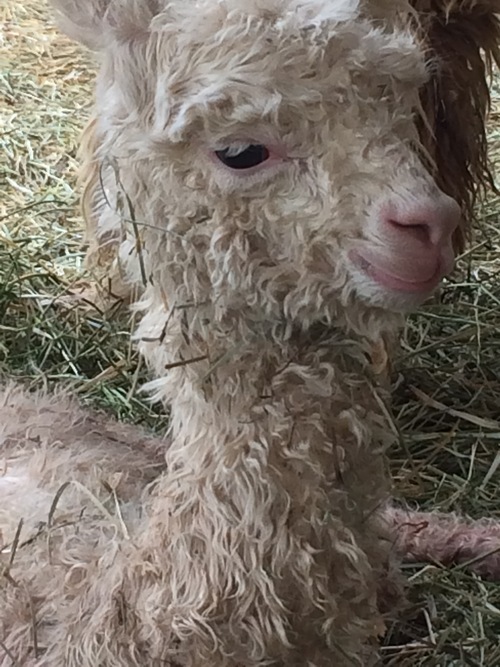 Our alpacas did very well and we are so pleased!! We are very pleased with our 2013 ABR Fall Fest ribbons! 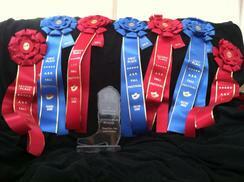 Plus..we won reserve Champion Crystal Boot! Fabulous Patterned female born today! 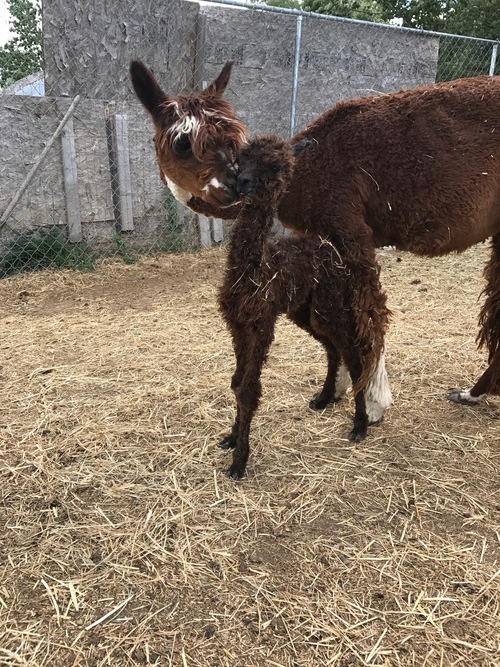 thrilled with this amazing girl born today!! 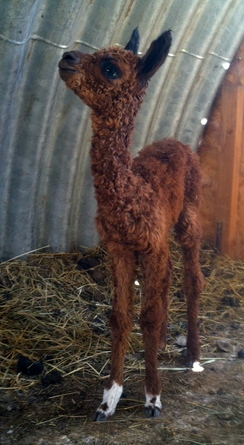 Gorgeous brown female cria born. 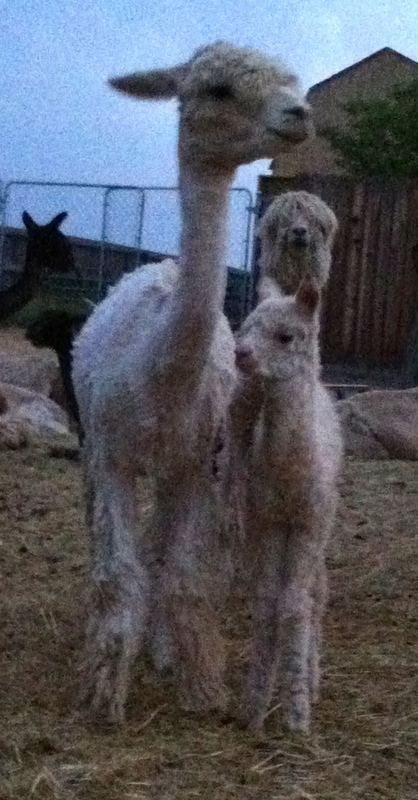 Zanna gave birth to a stunning brown female. 18 lbs. Sire is Escalante', a MacGyver son. 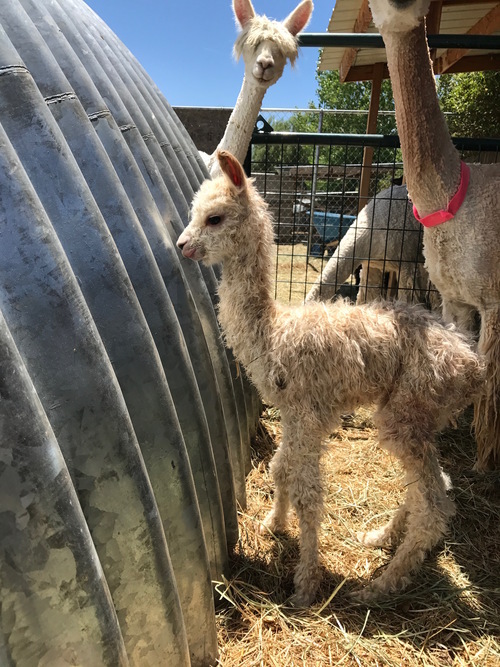 We are very excited about this little lady. 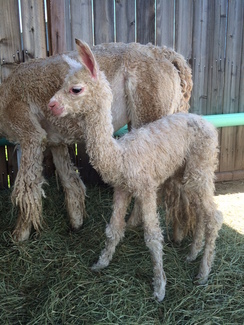 Gorgeous tiny 10 lb male cria born! Lucy Brown gave birth today to a sweet little 10 lb male cria. He is doing well. 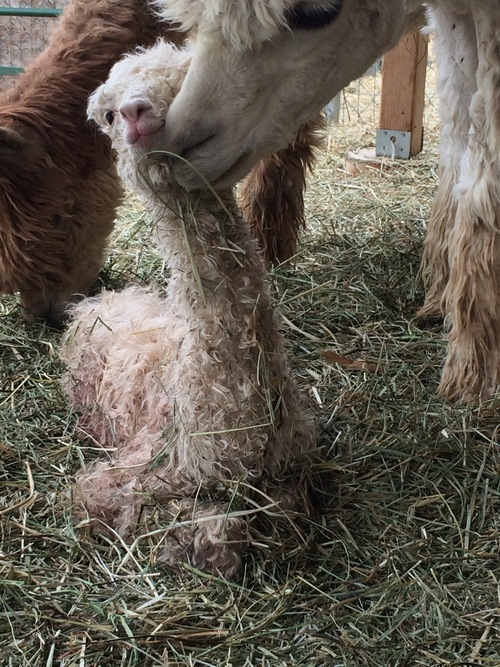 Needs a little help eating but hopefully will be nursing in a day or two. 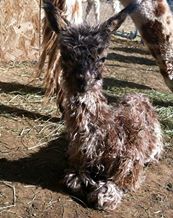 He is a beautiful medium fawn with luster and locked to the skin! 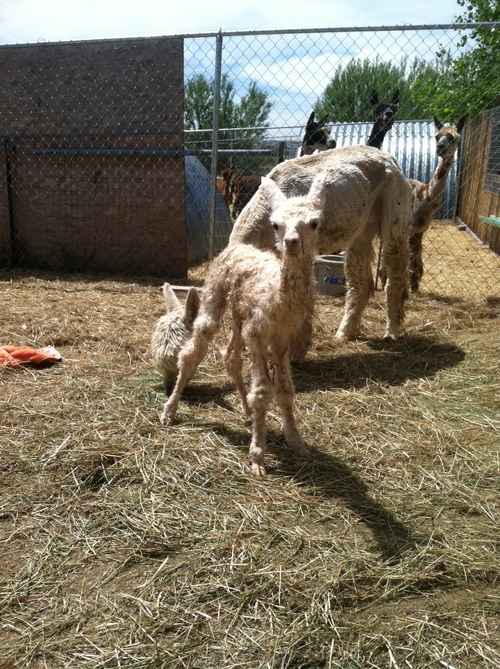 First cria of the season! 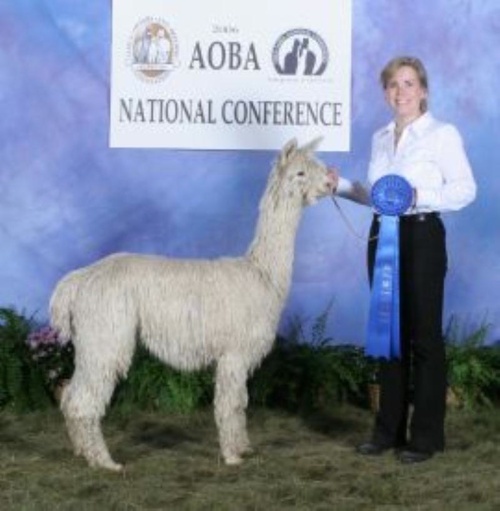 His Sire Is CHFA Rousseau's Accoyo Alarico. 19.8 lbs and growing like a weed!